I bought this palette on a whim when I saw it at my local Dischem. 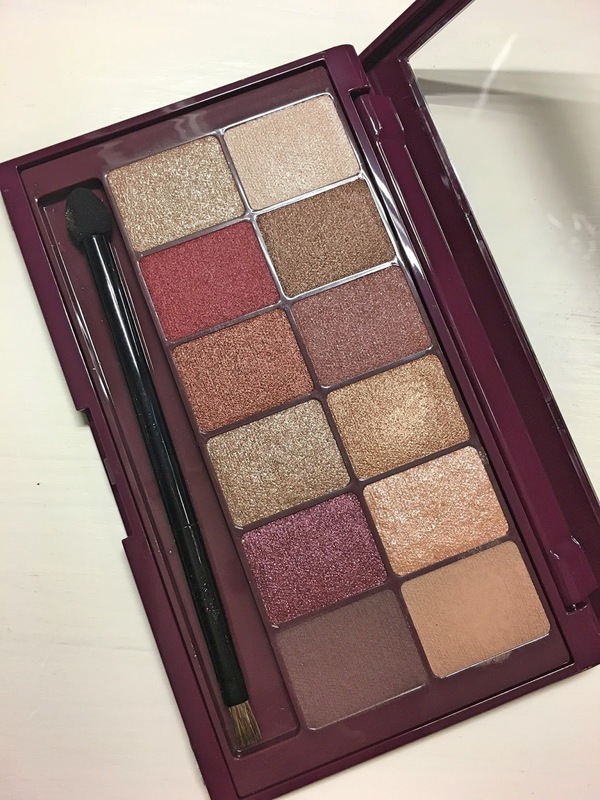 This is (as far as I know) the third Maybelline eyeshadow palette that is launched, the first one being The Rock Nudes and the second one The Blushed Nudes. I was never interested in the first one as the shade selection didn't interest me, but the second one was absolutely beautiful. 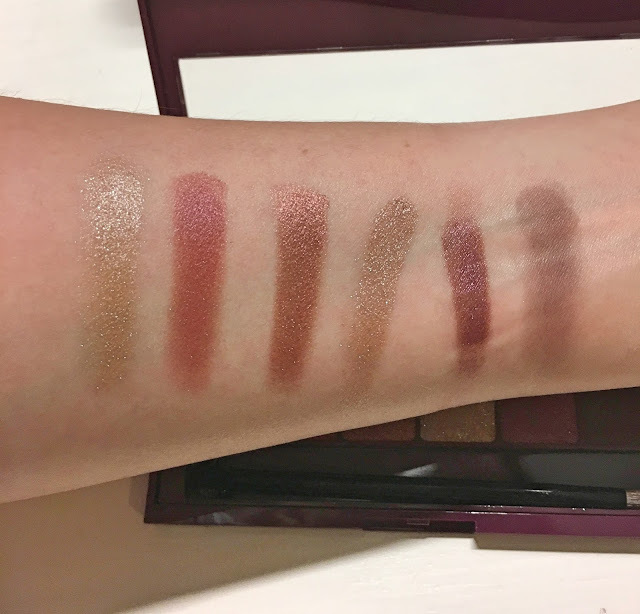 The downside is that I never saw a tester palette at any of the shops I went to, so I didn't think it wise to buy it on a whim without testing it first (and with a R250 price tag). 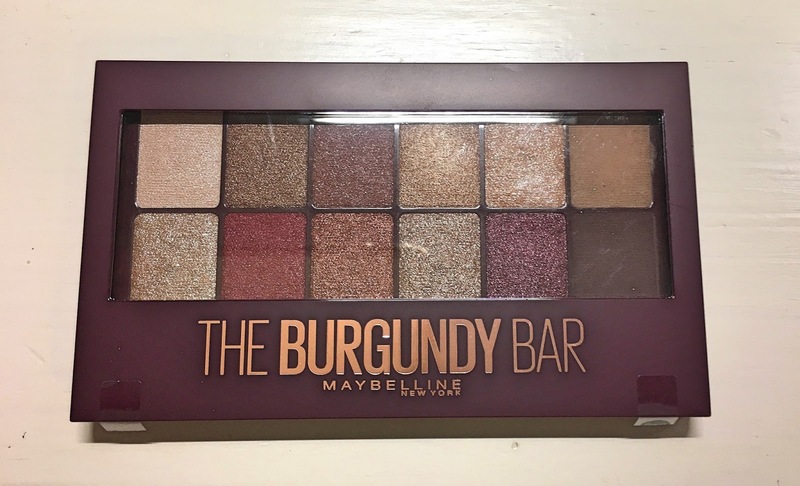 That being said, when I saw The Burgundy Bar, it was love at first sight. All the shades are warm and look absolutely delicious. I haven't worn it enough to do a full review, but I'll be sharing my first impressions. Firstly, the shade selection is absolutely stunning. It ranges from a champagne, almost pale rose gold to a medium-dark brown. For R250 you get 12 decent-sized eyeshadows housed in a very thin and compact palette. The palette also snaps shut, which means that it won't open unexpectedly in your makeup bag. Of the 12 shades only two are matte, the rest are shimmery or metallic. The shades are all very buttery and creamy, which is quite unusual for a drugstore eyeshadow palette. Drugstore palettes usually have at least one or two chunky, chalky shadows. 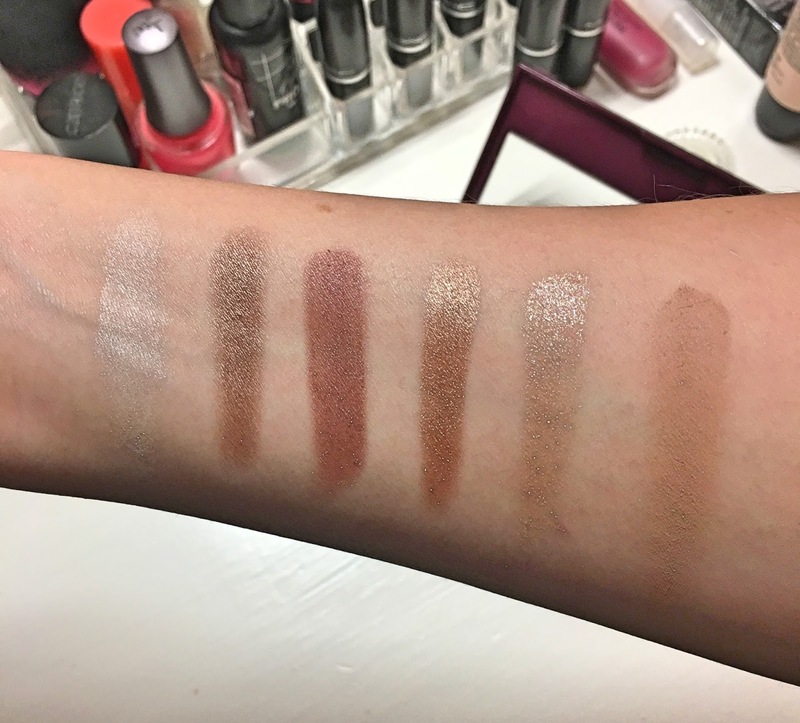 The first row (top picture) has, from left to right, a pale rosy gold champagne shade, a dark gold, a warm brown with golden shimmer, a rich gold, a sparkly champagne gold, and a light brown, almost camel matte. The second row (bottom picture) has, from left to right, a sparkly champagne gold (lighter than the previous one), a rich burgundy, a coppery brown, a sparkly gold, a rich and sparkly plum, and a medium-brown matte. At first glance it doesn't look like there's any "order" to the shadows: the mattes aren't grouped, the metallics aren't grouped, and the shadows aren't grouped by shade either. However, when you turn the palette over they show you the shade groupings so that you can achieve 13 eye looks with these 12 eyeshadows. 13! There are duos: each row's shadows are grouped two-by-two (giving you a total of six looks). There are trios: each row's shadows are grouped three-by-three (giving you a total of four looks). And there are quads where the first two shadows of the first row and the first two shadows of the second row form the quad, giving you three eye looks. Of course you don't have to stick with these duos, trios, and quads, but it's nice to have a reference, especially if you're new to eyeshadow application or you don't know what goes together. I've only swatched this palette so I can't give my thoughts just yet, but, what I will say is that I am impressed with the price point. It is R250, but you get 12 decent-sized eyeshadows. I am also impressed with the selection of shades. Granted, there could have been a few less gold shades, but all in all it's a very pretty palette and I hope the application and longevity will be just as good. I will do an update on this post when I've worn it a couple of times or mention it in a future post. Have you used this palette or any of the others? Which was your favourite? Let my know in the comment section!